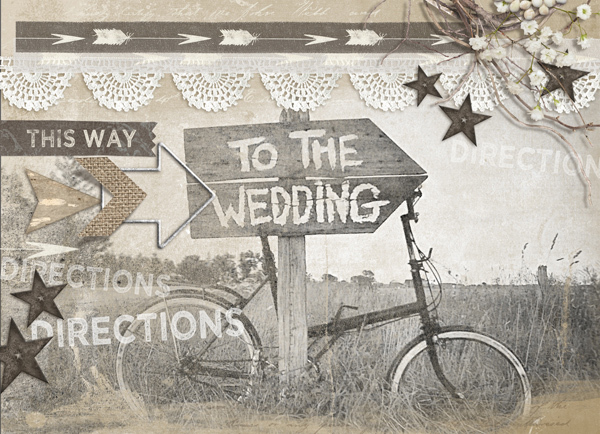 This digital scrapbooking wedding collection is perfect for country, casual and beach weddings. Since not every wedding is formal, we bring you a new wedding kit that is more on the casual side. 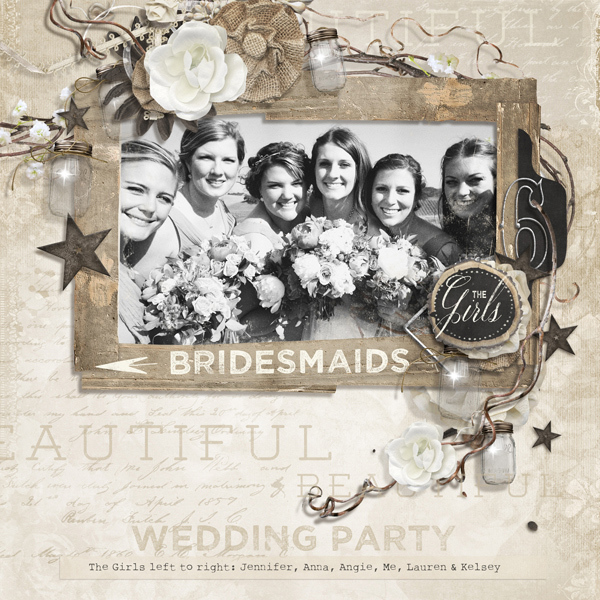 AND......because every bride has her own color palette, the Rustic Wedding Collection is in neutral colors, allowing you to add the perfect color accent to your wedding scrapbooks, invites and cards. 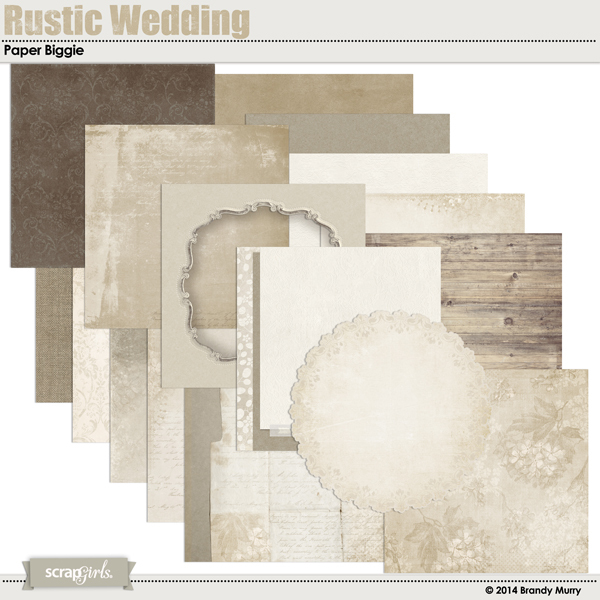 (16) Neutral Background papers: Floral, Wood, Stacks, Cut-Out, Round, Gradient and Delicate Blends. 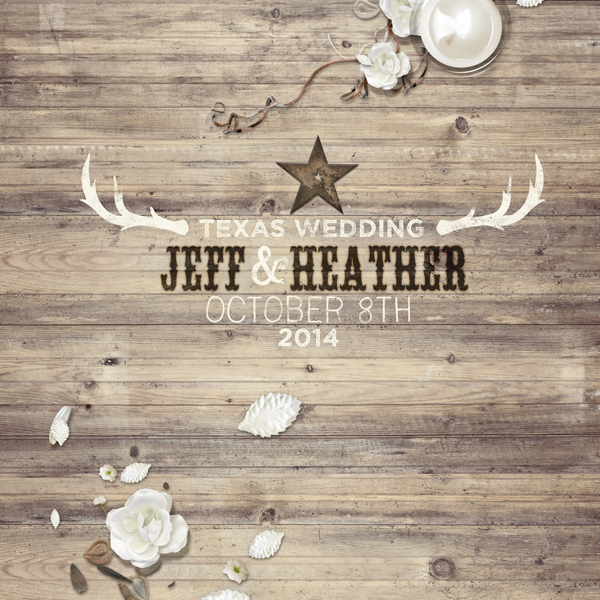 (3) 8.5X11 pages of coordinating embellishments including fun items such as: A vine wreath with baby's breath, a rustic wood frame, a stamped set of antlers and star-burst, wood slices, a mason jar light, lots of neutral flowers, burlap banners, lace and much more! (2) 8.5X11 pages of coordinating Word Art and Tags. 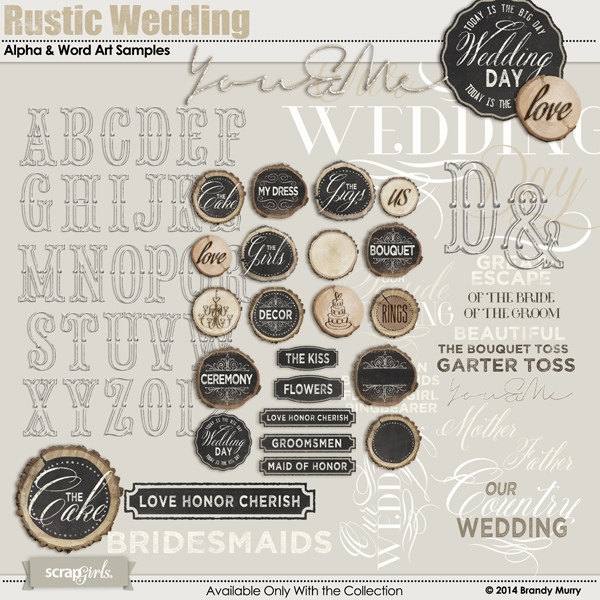 The Word Art includes 3 titles (Our Country Wedding, Our Seaside Wedding & Our Wedding Day in PNG & PSD formats so you can change the colors) Lots of fun wood slices in chalkboard and branded styles. (Some Blanks Included) plus many stamped and chalkboard tags. 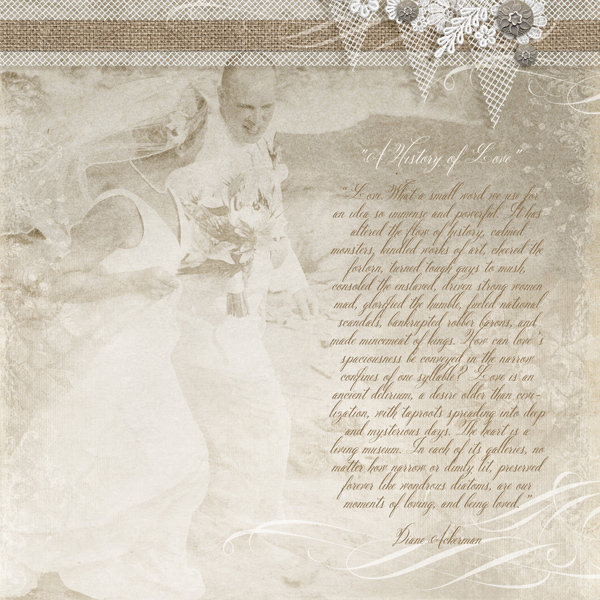 Variations of this Layout show how you can add your own colors to the main collection for personal wedding pages. The samples above use the Asian Beauty Collection Biggie and the Jubilant Collection Biggie. Photo courtesy of Chauromano at Flicker. Click any image below to enlarge in a new window. 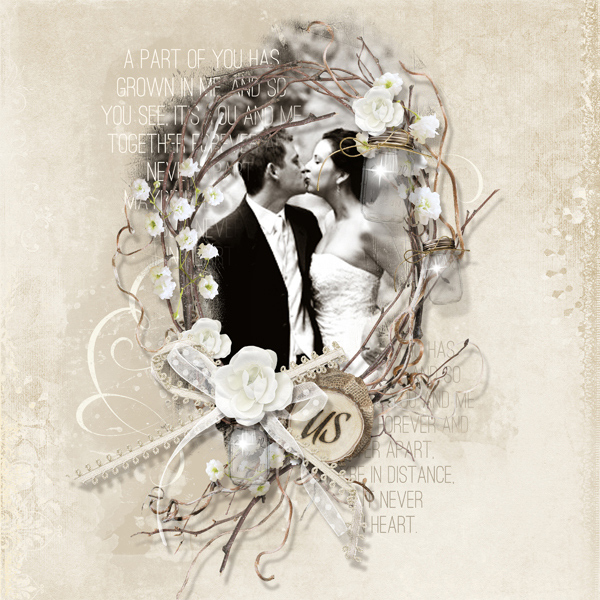 Lovely swirls will add movement and interest to your layouts. This assortment of nine brushes are included in this digital scrapbooking brush set. 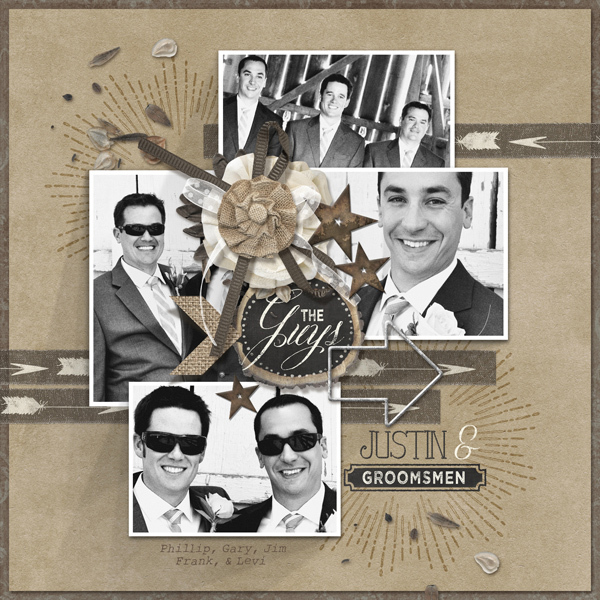 You’ll find these brushes will enhance a variety of layout styles, from contemporary to elegant. 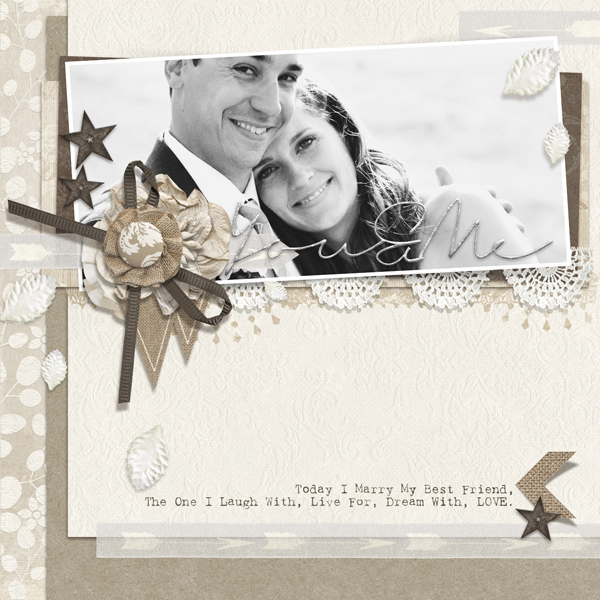 Perfect for your digital scrapbooking layouts, cards, invitations & digital artwork. Includes both ABR & PNG file formats. 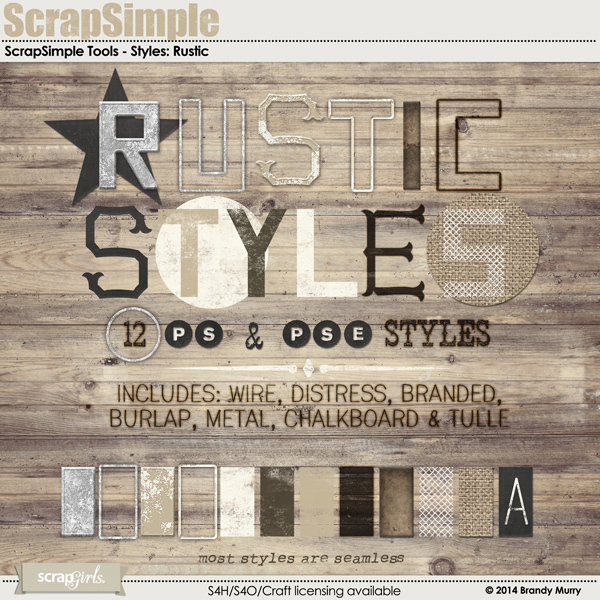 ScrapSimple Tools - Styles: Rustic Super Biggie is a set of 12 Rustic and Shabby Chic Photoshop Styles to help you accent your digital scrapbooking layouts, cards and hybrid craft projects. 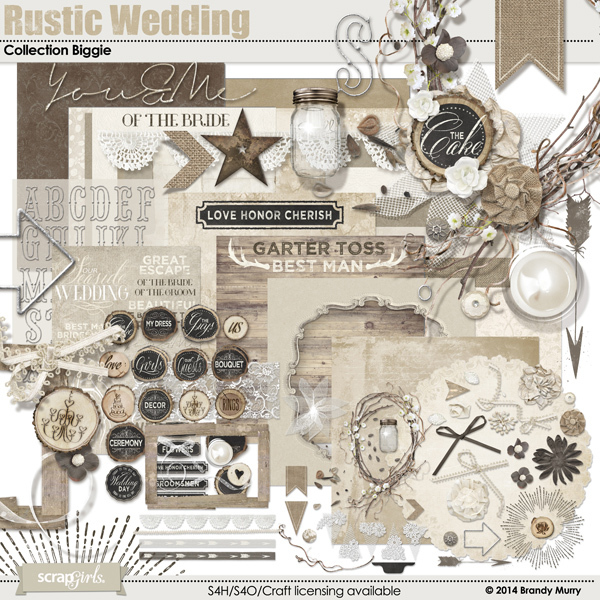 Included are: Rustic Wires, Rusty Metals, Burned and Branded (For Wood Backgrounds), Distress Styles in 3 neutral colors, Chalkboard, Burlap & Tulle. 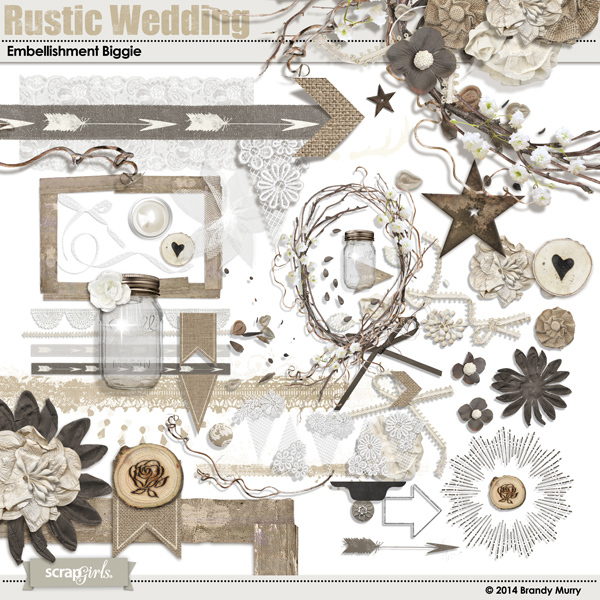 Everything you need for your Shabby Rustic pages! ScrapSimple Embellishment Templates: Background Blender Masks 2 is a set of 6 EXTRA Large Photo Masks in PNG format for your digital scrapbooking layouts. 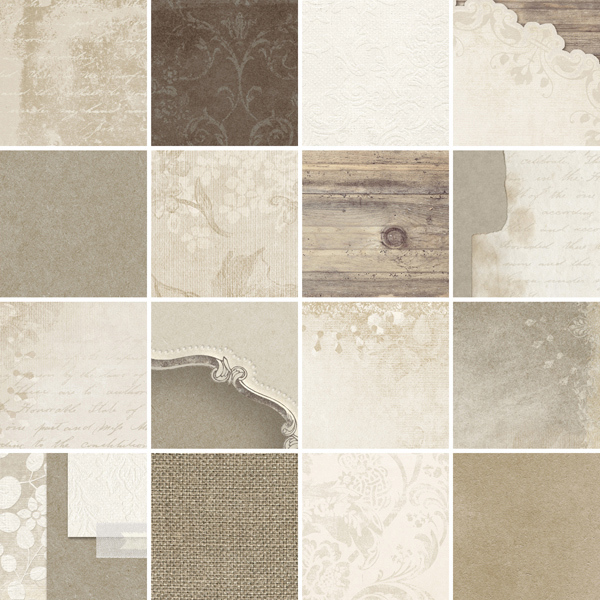 Use them to blend together background papers or softly blend in photos. All Masks are over 10 inches or 3000 px. Add a little sparkle to your Christmas Layouts this year with this set of Photoshop Lighting Styles. 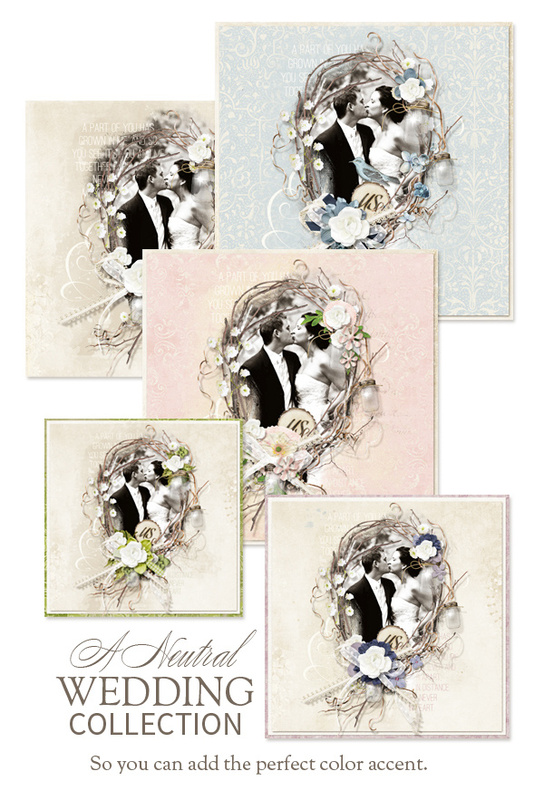 Accent your digital scrapbooking and photobooks with an array of elegantly embossed papers, frames, monograms & floral accents. 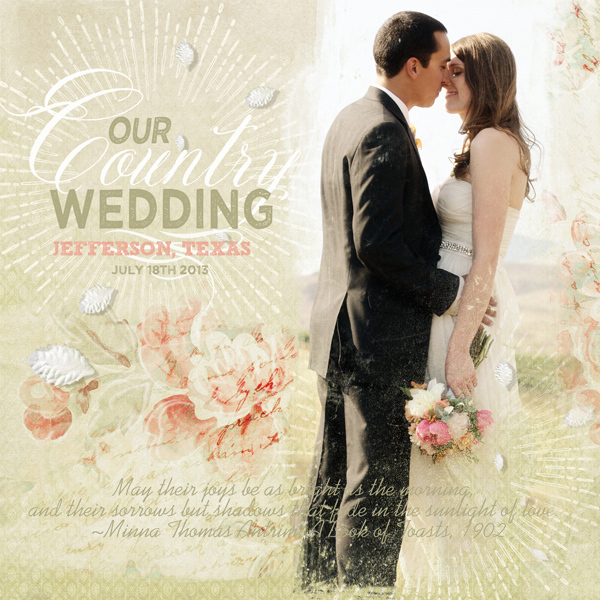 They make beautiful pages for weddings and elegant events. 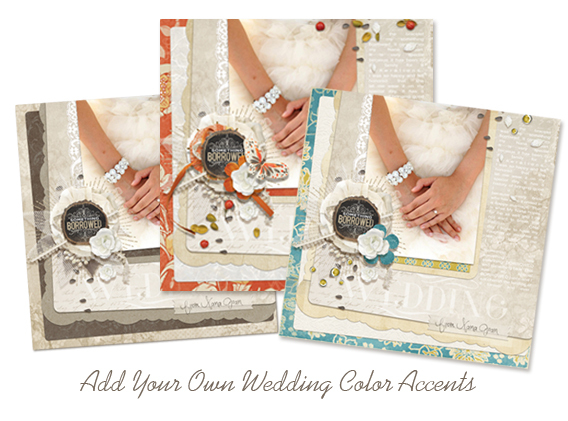 Accent your digital scrapbooking and photobooks with an array of elegantly embossed papers. 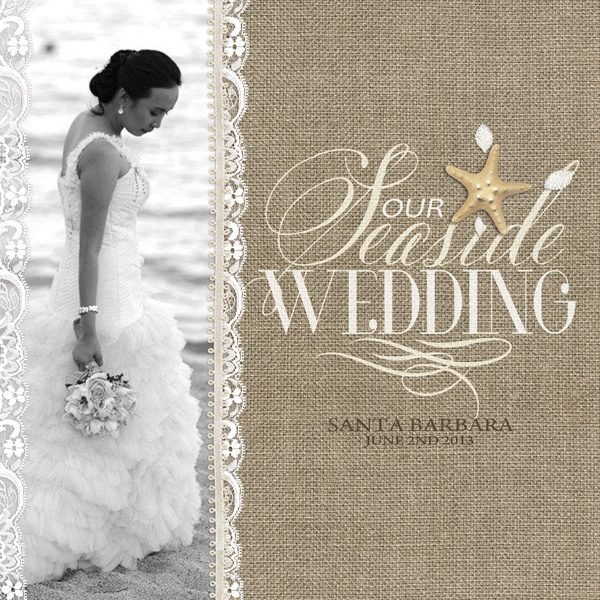 They make beautiful pages for weddings and elegant events. 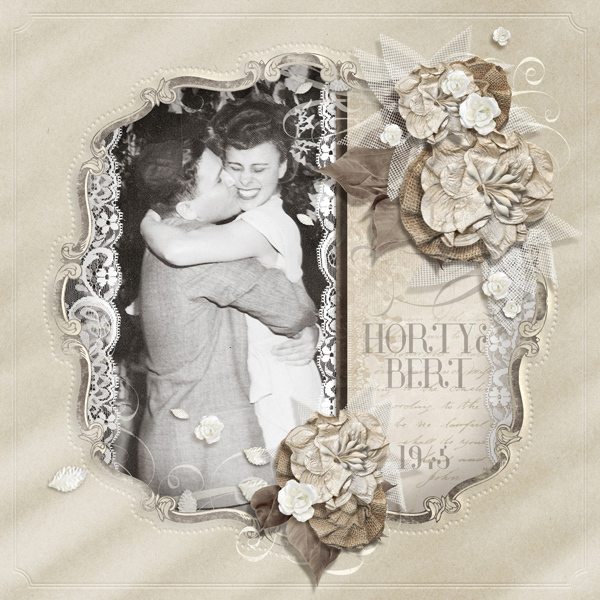 I LOVE this new set of layout templates by Marlene Peacock. All the curves add such style to a photo that it's easy to create a unique, fun page in a snap. Pick up all three sets for one, two and three photos. You'll be glad you did!